Appears to be true he admits to it according to this article. Hank posted the following comments on his blog today, the same day the news articles detailing the credit card fraud became public. Highlights are mine. Greetings from all of us at Hank Lees Magic Factory. Another fine week here in New England. For the past 37 years, it has been our pleasure to serve your magical needs. From the very beginning, I brought you into my personal life. Our advertising always spoke of my family and my life, in, I hope, an entertaining way. With the advent of the email Newsletter, you have received a weekly dose of what was going on in my life. Bonnie, the kids, the dog, everything. I have always tried to keep you in the loop. I hope you feel that you know me very well. Have we always made everyone happy? No. It would be impossible. When dealing with thousands of customers, there will be some small percentage we just cant please. Its part of life. Recently, I have been told about some wild rumors going around about Hank Lees Magic Factory. I suppose they started when I postponed this years Cape Cod Conclave. I hate rumors. Really. I dont visit any of the cafes or forums, because, well, just because I dont. A few close friends have called to say that there are rumors going around. It is really odd that the folks who started the rumors have not contacted me directly to find out what, if anything, is going on. Of course, if they did, then the rumors would be horribly tainted with fact. Without knowing exactly what the rumors are, I can tell you that Hank Lees Magic Factory is open for business, every day and the intention is to stay that way. We are taking orders, shipping orders and its just business as usual around here. If you call us, we will answer the phone. If you email us, we will answer your emails. If you place orders with us, we will ship them. Today, tomorrow and for the foreseeable future. I will be here, in my same old chair. I hope that this helps clear up any rumors that you may have heard or any that you may have started. I want to be the guy that did not realize he had an extra $500K in charges on his credit card! The wealthy customer is RG and resides in Texas. I think we can all guess that one. Not very subtle. I have left a voicemail for him and will let you know when I hear from him. It's a sad story either way. 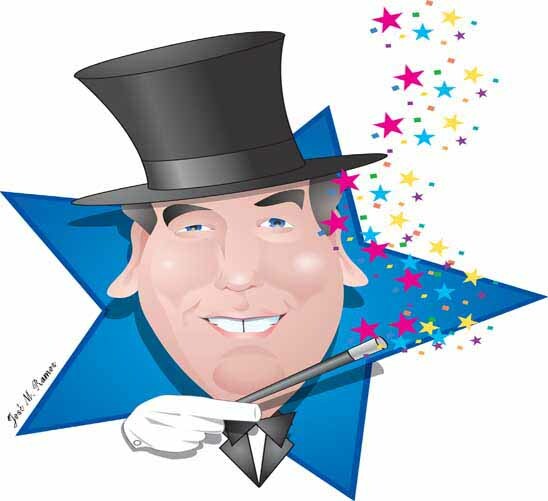 [quote="Magic Newswire"]The wealthy customer is RG and resides in Texas. I think we can all guess that one. Not very subtle. I have no idea who RG is, but I know who Hank Lee is and I am not surprised by this news. Accusations were being made only last month on this forum, under the heading "Hank Lee - Customer Service Gone Bad". Most likely, there are other victims besides RG in Texas, but his must surely be the most egregious case. If the allegations are true it would seems that Amex was Hank Lee's choice of card in terms of putting through fraudulent charges ... as I, too, had fraudulent billings on my Amex. Fascinating to think that he was being investigated by the Department of Justice and yet was continuing to over-charge customers! Craig...I remember your post about this. It is amazing that the Dept. of Justice took so long to act. They definitely are not the A Team, far from it. I buy,sell + trade Houdini, Hardeen items. Is trying to work out who RG is. Never ordered anything from Hank Lee's thankfully. Hopefully those who have had issues will get them resolved. Hank Lee in 1970s Boston was to me what Lou Tannen on Saturdays was to the generation of New York magicians in the 50s and 60s, and with the obviously destined for greatness Phil Goldstein often around the shop. Usually I have no visceral connection to "news," even the big, supposedly society-shaping events; this, however, I care about and wish weren't true. Ah, Google is a wonderful thing. If I have got the right guy, I must say I had never heard of this man before. Interesting guy. Hope he uses all his might to resolve this. I havn't ordered from Hank Lee for several years now, but when I did order I didn't have any problems. Sorry to hear about what is going on now. I still have an old Hank Lee catalog on my magic book shelf in my man cave. I remember getting the Hank Lee newsletters in the mail (before the internet). I remebering enjoying them as well as the Hank Lee ad in Genii. I hope he gets back on track with his business and life. I am still amazed at the story. Like El Harvey Oswald said, some magic news items are no big deal. This one, because so many people have a connection (some like myself just through mail ordered magic), feel shocked by the news. Not sad at all - if he is guilty of what he is accused of then he deserves all he gets. I live in Texas in the mountains and I have rocks for sale. I'm not excusing anything, but it's easy to condemn someone without knowing the circumstances. I've certainly done things I'm not proud of. I wonder if Brad Henderson can shed any light on this from the other end (RG). Meanwhile, I just received an email from Hank, which follows. Greetings from me, Hank Lee. I suspect that by now you have read the reports of the governments charges against me. I have agreed to plead guilty to these charges. Although the charges allege misuse of a customers credit card, I am writing to assure you that Hank Lees Magic Factory has since adopted procedures to insure the safety and privacy of our customers information. I was wrong in every way, and now I will face the consequences. I could not possibly be more sorry for my behavior. My actions have deeply impacted my family. And, I know that they have impacted you, our customers and friends. While we have tried to build a base of trust over the last 37 years, it has been seriously damaged, and must now be rebuilt. If there is a brighter side, Hank Lees Magic Factory is not just about me. It is about our long time employees who are here every day and could not be more honest, forthright and knowledgeable. These people can be trusted, 100%. They have been with Hank Lees for more than 20 years each and have impeccable records, both in life and in the workplace. In the past day, I have received many emails and notes. Most are from people hoping that the present situation resolves itself quickly and wishing me the best in this difficult time. Some are from people who do not exactly wish me well. This is to be expected. I appreciate all correspondence. This is what I can tell you right now. Hank Lees Magic Factory is not in danger of closing. We will continue to accept your orders, process them and ship them as always. I hope that you will continue to place orders with the Magic Factory, and allow me to rebuild your trust in us. Richard Kaufman wrote: Sad news. A criminal got caught and is now going to face justice. It can be simultaneously sad news and an entirely welcome legal resolution of the sad circumstances. Of course many will opt to demonstrate just how opposed they are to crime and criminals by attesting to feeling no sadness; point taken; we get it. But more than one adjective attaches to most events of any complexity. "I have agreed to plead guilty to these charge ... was wrong in every way, and now I will face the consequences." "I am writing to assure you that Hank Lees Magic Factory has since adopted procedures to insure the safety and privacy of our customers information"
How does one institute procedures to protect from the criminal misconduct of the boss? In a privately owned company, any procedure that the boss implements can be changed or circumvented by the boss. At this point, anyone who spends a dime of cash, let alone uses a credit card, with Hank Lee has only themselves to blame for the results. I looked at several instances of fraud, including misappropriation of assets (stealing) and financial statement fraud (lying), as part of my undergraduate and graduate level courses in auditing. It's a shame, because in a lot of otherwise honest people, the combination of pressure, opportunity, and rationalization can be overwhelming and lead to lots of bad decisions. The other thing you see so often is that once you get started it's so hard to stop. It's also sad because I'm sure he has family members that rely on him, kids, grandkids, etc. It's tough. My dad often said and I have said before "Don't do the crime, if you can't do the time." Punishment is just and the right thing to do and it's good that he has been stopped....that doesn't make it less sad for everyone. By one take on human behavior and risk assessment, he's now the least likely person to attempt defrauding someone with their credit card. I'm inclined to give him a chance. And by another take on human behavior and risk assessment: once a crook always a crook. El Harvey Oswald wrote: By one take on human behavior and risk assessment, he's now the least likely person to attempt defrauding someone with their credit card. I'm inclined to give him a chance. In other news, Bernie Madoff is opening a new investment group under the theory that he is the LEAST likely person to abscond with your investments. As mentioned earlier, the Hank of the 70's was a great guy. He worked out of a house and Max was there a lot. The big move to downtown Boston and a great shop. He would tell you what you might be interested in and warn you about junk. As the shop and mail order got bigger things changed. I can't imagine providing federal investigators with a bunch of falsified invoices thinking I was going to get away with it. There is a German word that fits some of the "shoes" tied to the bandwagon's bumper: Schadenfreude. The news and current evidence is indeed sad, but the evidence is still incomplete. As the buzz is reduced to the whir of mosquito's wings, if we are still chattering a week from now, perhaps we will know more and more about less and less? Rest assured that recompense will rule the day. Justice will serve some...more or less. The guilty of course will pay...and THAT payment will probably suffice. Meanwhile, the landscape of magic continues to change and we too feel ourselves changing. As Kurt Vonnegut used to say, "So it goes..."
Since Hank/Harry has stated his intention to continue doing business in the magic community, and he has signed a legal document acknowledging the facts of the case, it is entirely appropriate for those who he would have as customers to discuss this today and next week. Last edited by Bob Cunningham on March 31st, 2012, 6:10 pm, edited 0 times in total. No Shadenfreude on my part - don't know the guy, never purchased anything from him and, now, never will. What more evidence do you need, by his own words he has 'fessed up - therefore if he has committed the crime then he should face the consequences. To be honest I find the pretentious pap and the related horesh*t here, around how great a guy he is and how he be given a 'second chance', to be somewhat pathetic. Last edited by AJM on March 31st, 2012, 6:28 pm, edited 0 times in total. I had a dispute with Hank involving a fraudulent credit card charge at the very time he was being grilled by the Feds. I feel sorry for his family and his employees, but not for him. He needed to be stopped. What is surprising is that Paypal and credit card companies have not revoked his privilege to charge credit cards after $560,000 in fraudulent credit card transactions. How he can continue his business is quite surprising. Somebody who steals half a million (and potentially more if the accounts of other defrauded customers are true, which given what we know seems completely plausible) has no right to continue his business. I really hope the magic community is strong enough to hold ranks and just not buy there anymore. I will always have very fond memories of my first visit to Lank Lee's as a teenager when he was in the tiny walk up on Lincoln St. I walked in as he and Phil Goldstein were in the process of editing the Magic Factory's first catalog. At last there was a real magic shop in Boston and not a joke shop with tricks. Many years later when they were in the larger shop down the street I visited with my niece who at 9 or ten decided she wanted to learn magic. The staff worked patiently as she tried many different thumb tips till we found one that fit. To me this is tragic. Tragic in that we in the magic community have lost yet another resource. From what I have been reading this is a resource that had been gone for some time. I can not imagine what may of happened. While the Hank I knew was a bit of a hustler I would never have thought he was capable of this. I can only imagine that something must have happened to bring him to this. For myself I will mourn the loss of the Hank I used to know.